Saved via community petition from redevelopment into yet more luxury 'apartments', this East End boozer has been relaunched as a friendly local gastropub. Stroll down a quiet back road in Hackney and you’ll be delighted to come across this handsome pub, its exterior like something on a postcard from the countryside, all light lilac frontage and classic lampposts. You can immediately see why the neighbourhood fought so hard to preserve the Chesham – the pub recently won its status as an Asset of Community Value after a fight that lasted years – and stepping inside just confirms things. The interior has been tastefully renovated to look like your textbook Great British pub, but with design features that are strikingly London, from gold embossed ceiling panels to fisheye mirrors. Claret-coloured walls make it cosy as hell, with a fireplace for extra warmth and Scrabble for when you really want to make it a session. But summer is sure to be just as rewarding, with a pretty little beer garden out back. Hungry punters can tuck into sausage rolls and pork pies or order in from nearby Yard Sale pizza. But mostly it’s the local drinks that interest customers, with an ever-changing range of six beers, two ales and one cider – as the barman told us, ‘You won’t find any Stella here.’ Sitting directly behind this attractive line-up is a framed poster declaring the pub to be ‘saved’, with signatures from all those involved in the two-year campaign. Too right this motley crew should take great pride in their old local and its new lease of life. Let’s hope they keep popping in and propping up the bar at this cracking community asset. Open Mon-Thurs 4.30pm-11pm; Fri noon-11pm; Sat-Sun noon-11pm. Hackney Central or Homerton Overground. Best beer garden I've ever seen in London - not as well groomed as, let's say, People's Park Tavern, but completely unpretentious! Very friendly atmosphere, too. 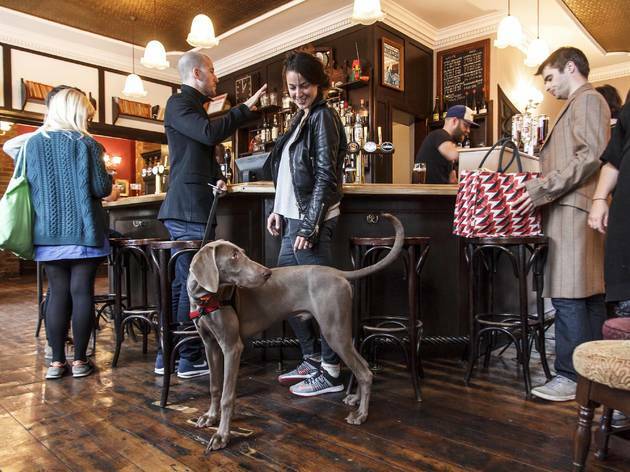 Great place and pub and you can take your doggies with you!!! Great rebirth of this lovely characterful backstreet pub. Great conversation downing excellent choices of real ales. I was delighted when it reopened as a pub instead of flats and it's always exceeded expectations: good selection of well-kept beer, welcoming atmosphere, great garden and pizza delivery is encouraged! It's a no brainer as my favourite local. And its a community asset. Everything to love about the Chesham. A proper boozer, that you can go to with anybody and they will love it. Absolute gem of a boozer. Always a pleasure to spend time in. 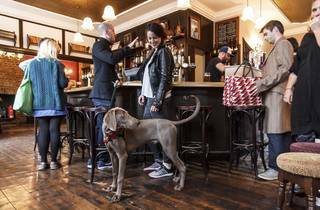 Like so many of London’s traditional watering holes, The Chesham Arms in Hackney faced closure in the name of property development. The fate of this local pub seemed certain- it was labelled as ‘inviable’ by Hackney Council- and a significant amount of renovation was required modernise the 150-year-old building. But this all-too-familiar London tale has a happy ending: the pub was saved at the hands of a local publican and has been restored to its former glory. The story behind the Chesham Arms is a tremendous victory for the local community and for punters alike. I visited the boozer after it was named Pub of the Year by CAMRA last week, mostly because I was surprised that- despite being on my doorstep- it was completely under my radar. It’s a smallish pub with a mix of tables and stools at the bar, the environment was boisterous and friendly, the bartenders were personable and the crowd was diverse. We arrived in time to see an elderly couple- obviously regulars- being warmly seen off by staff after enjoying a quiet tipple. As the night went on, there were larger, younger groups arriving, but games of Scrabble were still being waged and pizzas delivered by local pizzeria, Yard Sale. The music was decent and the selection of beer, both on tap and cask, was unbeatable and rotated in front of our eyes. The Chesham Arms is so utterly charming that it will make you envious of the lucky local residents. We popped in just for a pint, but ultimately planted ourselves there for a few hours, freely chatting with others at the bar and trying some great local beers. 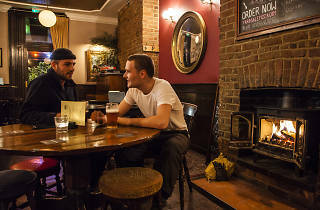 The pub retains a sense of its history, keeping a traditional décor and not opting for anything too flashy in the vein of mismatched furniture or gimmicky fixtures. They are intending to eventually open a kitchen, but I can vouch for the pizzas that were being delivered in droves (you can get your menu at the bar)- they looked hot, gooey and plentiful. The story behind The Cheshire Arms is at the crux of its identity, but it’s a pub successful on every front. If you’re in East London and not wary of going off the beaten track, it’s worth the effort. If nothing else, your visit will restore your faith in just what a community can achieve in the face of gentrification, modernisation and unviability. Just don’t tell too many people- there are only so many seats at the bar. Even if you didn't know this pub had been saved from redevelopment by the community, you can tell it's a local worth cherishing from the moment you step inside. The refurbishment has kept all of the character whilst making it seem smart and up to date. With a beer garden for the warmer months, a cosy interior for the rest of the year and a good selection (of widely local) drinks for all year round - this is a real gem. 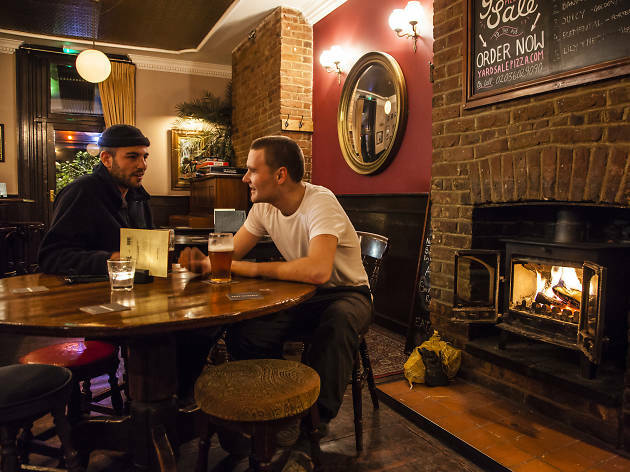 Cosy all-seasons pub with a wonderfully rebuilt interior, fabulously intimate beer garden and ace beer selection. Appalling customer service, I reserved an area of the pub a few weeks ago and then when I called to check back in with the pub they said it had been taken by accident and they wouldn't honour the booking. To make matters worse I could hear the staff discussing it in the background (obviously didn't mute the phone or leave it far enough away) saying I was a "random-er" and had never been in the pub before so it didn't matter. This is in fact not true as I have been in the pub before - but I will never go again after being treated like that!